» The Best Ice Climbing Gloves On The Market! The Best Ice Climbing Gloves On The Market! But in the above paragraph I’ve chosen my words very carefully, because although your hands getting cold is all but part and parcel of the ice climbing experience, enduring the surely unparalleled pain of tissue ischemia and reperfusion (i.e. the diminishing of blood flow to soft tissue and muscle and then its ghastly return) isn’t entirely unavoidable—if that is, you make your forays onto the frozen stuff wearing the right pair of gloves. In this article, we’re going to take an in-depth look at five saviors of our skins and sinews with an in-depth review of the best ice climbing gloves out there in 2019. Before we get down to our top picks, however, let’s first take a look at the features and attributes that go into the making of a great glove for ice climbing. While many of are apt to think of ice as an essentially “dry” phenomena, after a few hours of ice climbing, belaying, and handling wet or frozen ropes, the state of our gloves is likely to compel us to venture a rethink. In short, the chances of getting through a day’s ice climbing without giving your hands a thorough soaking in the process are very slim. Getting your gloves wet while ice climbing isn’t necessarily a huge problem in and of itself. While climbing and immediately after a climb, the chances are that our body heat will be adequately high to ensure our hands don’t turn to blocks of ice along with the H20 harbored in their purported protectors. If, however, we wait too long before changing into a dry pair or let ourselves cool down, then that only slightly frigid water is sure to turn frightfully frigid sooner rather than later. Certain models of ice climbing glove are made without water-resistant fabrics on the assumption that those wearing them will be climbing in conditions too cold and dry for saturation to be a problem or in an effort to enhance dexterity, but if you happen to be doing your ice climbing anywhere outside of Canada, Alaska, the Arctic Circle, or anywhere else where temps are likely to be a good twenty degrees under zero, we’d highly recommend opting for a pair of gloves with a Gore-tex or other waterproof lining. Few activities can chill our paws quite so thoroughly as ice climbing. Given that the ideal temperature for ice-climbing is a significant number of degrees below zero and that our hands are in almost constant contact with ice or ice-riddled tools and gear, having a substantial buffer between them and their frozen aggressors should be very near the top of any would-be buyer’s ticklist of desirable attributes. If warmth is the priority, we’d recommend looking for at least 100g of insulation spread throughout the glove (some models use less in the palm area than on the back of the hand), and up to 200g if you usually have a hard time keeping your hands warm. Though various type of insulation exist, the best is usually one variety or another of Primaloft. When buying your ice climbing gloves, there’s usually a trade-off between the amount of insulation any glove offers and its dexterity and which of the two your prioritize will probably depend on how technical your routes are. In most cases, finding a balance between the two is the key to finding the best glove for your climbs, with those likely to be taking on more technical routes benefitting from a more streamlined (and, thus, less insulated) glove and novices or lower-grade climbers usually able to get away with something a touch loftier and meatier. When climbing at your limit, you use up more energy hanging from your ice tools when wearing thicker gloves because there is less friction between your hands and the grips of the tools and, as when pinching a larger hold in rock climbing as opposed to a small one, there’s a lot more strain on your forearms and your fingers can’t “lock” around the tool or hold quite so easily or securely. Finally, it’s also well worth noting that bulkier, heavily insulated gloves can also make life difficult when it comes to belaying, tying knots, and placing screws in the ice, so when choosing your gloves be sure to check the insulation won’t interfere with agility to the extent that you can’t perform the requisite maneuvers with your gear. As mentioned above, one of the trickiest aspects of finding the best gloves for ice climbing is balancing insulation with dexterity. As a general rule, the better insulated a glove is, the less it will offer in terms of the dexterity needed for delicate tasks like placing ice screws, clipping quickdraws, and tying knots. While some ice climbers try to get around this problem by using a liner glove underneath a thicker insulating glove, this is highly impractical on tougher routes where the chances of being able to remove and then replace a glove are slim to none. Other climbers simply soldier on with minimally insulated gloves—despite the threat of those screaming barfies—but we wouldn’t recommend this approach for anyone climbing under WI4/5 and really looking to perform at the top of their game every time they touch the frozen stuff. Whichever glove type you ultimately choose to buy, there are a few non-standard features that can add to the dexterity of any model. The most notable of these are stretchy inserts around the (ideally) leather palm area, pre-curved fingers, articulated fingers, and the use of less insulation on the palm of the hand than on the back so as to improve grip and reduce the strain on your hand muscles and forearms. The conditions encountered in ice climbing, along with the nature of the hardware used, can really take their toll on a pair of gloves and in many instances the lifespan of any pair of gloves is unlikely to be more than a season or two. A few features and design characteristics, however, can help to make one pair of gloves more likely to last than another. The most important of these are leather (or similar) inserts, particularly in the palm area and around the fingers, double stitching, and high-denier materials. Getting the size and fit of your gloves right can be a tricky business but is absolutely crucial to ensuring their practicality and performance as regards warmth, dexterity, and grip. One common issue with ice climbing gloves occurs when buyers opt to purchase a pair slightly larger than their normal size in order to leave room for a liner glove underneath, only to then discover that they have oodles of extra space inside that renders the fingertips floppy and all but useless for more delicate tasks and lets the gloves slide around when gripping their tools. On the other hand, gloves that are too tight will often squeeze the hand excessively when gripping your ice tool and thus cut off the circulation, reduce the insulating air space around the hand, and squish the gloves’ insulation to the point that it is almost entirely ineffective. Go all that? Great! Then let’s get down to business with our review of our best ice climbing gloves currently on the market. We get things rolling with a serious contender for not just the best ice climbing glove out there in 2019 but, we kid you not, the best glove ever made. 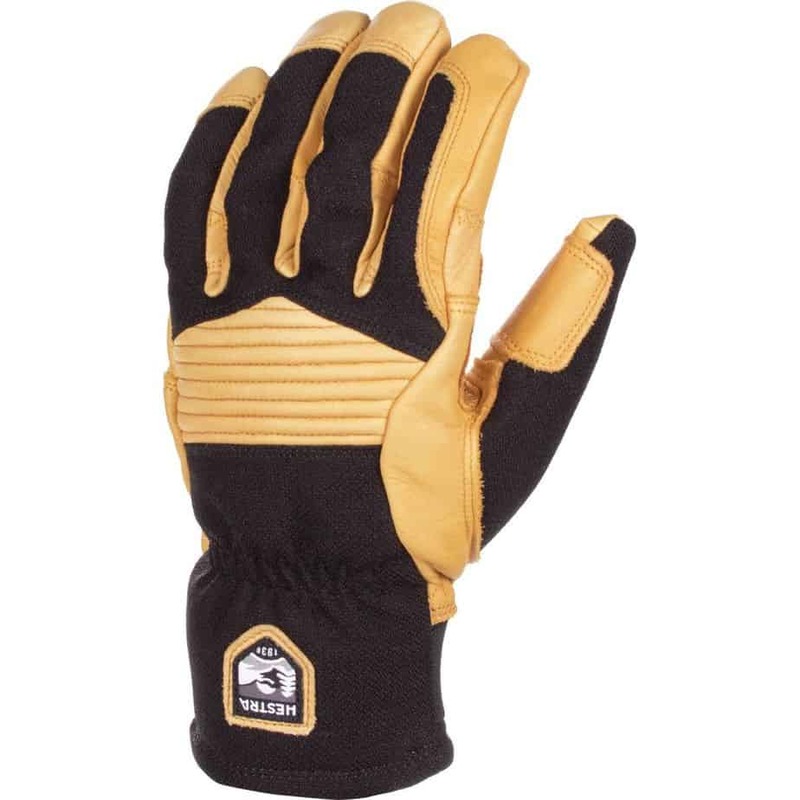 Using a thin layer of insulation throughout, this glove has a slimmer profile than many of its competitors and features an ergonomic, pre-curved shape that mimics that of your hand when clenched over an ice tool, meaning there’s less squishing of the insulation and your fingers when grasping your tools and, therefore, less chance of restricting that much-needed, heat-bringing blood flow. The Alpha Fl also uses incredibly hard-wearing leather on the palms, knuckles, forefinger, and thumbs, and a waterproof Gore-Tex liner to keep things dry inside. The fingers are far more articulated than in many models of top-end glove we’ve tried over the years and allow you to perform more nimble and delicate tasks—tying knots, clipping quickdraws, belaying, and handling carabiners—with ease. Finally, the gauntlet-style cuff reaches far enough up your forearm that you don’t have to worry about any water sneaking in at the top of the glove and undermining the good work of the Gore-Tex liner. The bottom line? This glove comes as close as any we’ve ever had the pleasure of pulling over our fingers to providing the perfect balance of insulation, grip, and dexterity. Granted, it may cost you just about as much as you’d expect to pay for a down jacket to get yourself a pair, but if you’re serious about sending those testy ice routes and would prefer to keep your digits in decent shape and relatively toasty while doing so, you’ll be very hard pressed to find a better glove out there. 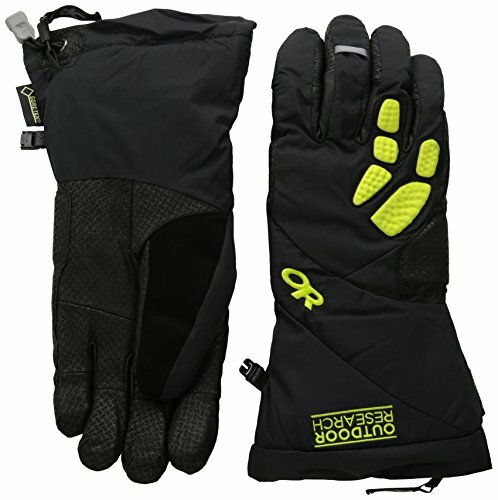 Black Diamond’s Solano Heated Gloves represent a bit of a game-changer in the field of cold-weather outerwear. Using a battery-powered heating system, these gloves negate the age-old problem of relying on insulation only for warmth and, as such, can seriously undermine the weather and temperature’s attempts to turn your hands into mere extensions of the blocks of ice you’re swinging your tools into. And using these gloves is far simpler than all that newfangled technology might lead you to think—all you have to do is flick the switch on the cuff when things are getting a little nippier than you’d like and gloves’ AddHeat system will kick in with one of three heat levels that can turn your frozen digits toasty in no time. Although many would-be buyers of such technologies are likely to have some concerns about added bulk and the exposure of the battery to water, the Solano somehow remains both sleek and dexterous and the rechargeable lithium-ion battery is safely stowed inside a waterproof zippered compartment that doesn’t interfere with your grip or agility when handling tools and ropes. But perhaps the best thing about the Solano is that all of the above might well be considered merely a “bonus” feature, as this glove is more than a match of most of its competitors in its own right, even without the inclusion of the battery-heated technology. 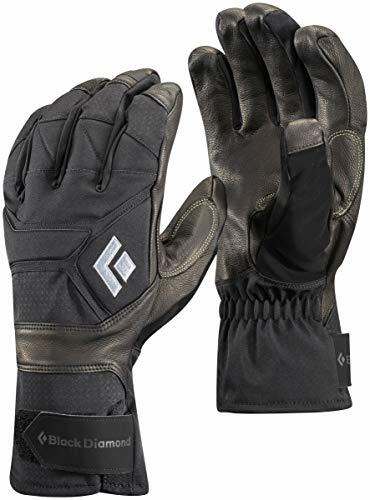 It uses a waterproof-breathable Gore-Tex outer shell, very rugged, durable, and abrasion-resistant goat leather on the palms and finger areas, and 170 grams of PrimaLoft Gold insulation on the back of the hand and 100 grams of fleece in the palm area. All this means, of course, that this glove is a highly effective brrr-buster even before you get around to flicking that little magical switch on the cuff and far more than a mere fad that relies on its quirks more than other qualities. Billed as an alpine mountaineering glove by manufacturers Outdoor Research, the Alibi II is a very versatile glove that ticks just about every box required for ice-climbing, too. Using a healthy 170g of Primaloft One insulation, leather inserts in the areas (palm, thumb, pinky, index finger) most prone to wear and tear, and topping off all of the above with a nicely stretchy Gore-Tex softshell body, this is a glove that strikes possibly the best balance between dexterity and toughness we’ve ever come across. What’s more, the Alibi II uses a pre-curved construction, features a handy nose wipe on the thumb, gel padding on the outside edge of the hand to buffer any blows when swinging your axes, a removable leash, and a “SuperCinch” gauntlet fit that will cover even the meatiest of forearms. A long-term favorite of mountaineers, skiers, and ice-climbers alike,the Black Diamond Punisher is a glove that merits its place on any shortlist of potential purchases for those seeking an affordable, highly functional, and almost peerlessly tough glove that’s built to offer a little more in the way of longevity than most of its competitors. The Punisher has very little in the way of flaws or failings, and though its 100g of fixed fleece lining means it’s a little short on insulation compared to some other gloves in our review, this insulation is well spread throughout the glove and the trade-off means that the Punisher scores far more highly in the dexterity stakes than its beefier peers. 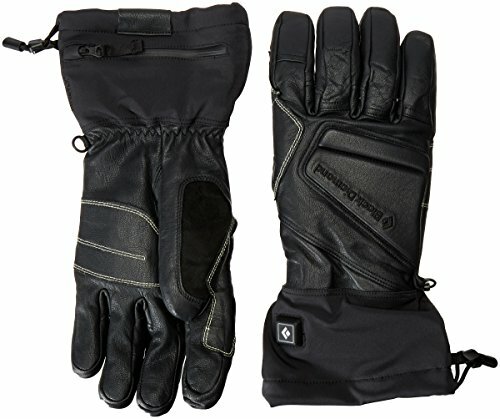 Any shortage of warmth, moreover, is also made up for by a handful of features that make the Punisher much more “dialed in” to the demands of ice climbing than many other insulated gloves out there, including a fixed, 100% waterproof lining, abrasion-resistant fabrics, very agile four-way stretch, pre-curved and articulated fingers, a durable goatskin palm, and the kind of dexterity that makes it almost suitable for knitting, never mind ice climbing! 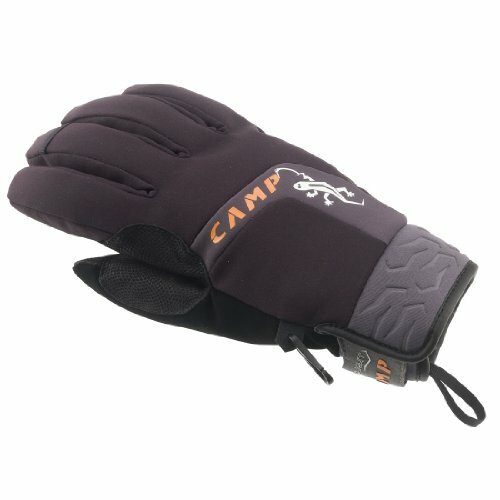 Weighing in at a mere 6.4 ounces and using a grand total of zero insulation on the palm, CAMP’s GeKo Alpine Glove definitely isn’t for anyone prioritizing warmth over performance, but nonetheless represents one of the grippiest and most dexterous options out there for those in the market for a glove that will let them push their performance to the limit. And it isn’t all bad news on the insulation front—the GeKo does have a microfleece-lined goatskin palm and fingers and a thin covering of Primaloft insulation on the back of the hand, which is more than many other varieties of glove made for higher-level ice climbing. Other nice features to the GeKO are tough, reinforced inserts in the index finger and thumb, a handy wrist leash that doesn’t interfere with handling of tools or ropes, and a superbly grippy leather palm. In short, the GeKo probably aren’t the best choice for those worried about frozen fingers, but deserve their place on the shortlist of anyone willing to forego a bit of warmth in favor of optimizing performance. Once upon a time, ice climbers were considerably less well catered for in the glove department than they are today. The options were so scant that, in many cases, our choice of glove often came down to opting for the lesser of two evils and taking a “grin and bear it” attitude with regard to frozen fingers and the almost laughable dearth of dexterity. Thankfully, as the above list demonstrates, these days we have a wealth of wonderfully warm and performance-oriented gloves at our disposal that allow us to forego the many agonies and frustrations that were once simply part and parcel of our sport. Our fingers rejoice! Choosing an out-and-out winner from the above selection is no easy task, and there’s no doubt that certain gloves will be better suited to some climbers more than others, but when push came to shove, the glove that won our hearts (and fingers) more than any other is the Arc’teryx Alpha FL Glove. This glove is, essentially, everything all of us had been waiting for over many a year spent cursing the inadequacies of our previous—and various—go-to gloves. It’s warm, highly dexterous, as grippy as they come, and strikes a better balance between performance and protection than any glove we’ve ever known. 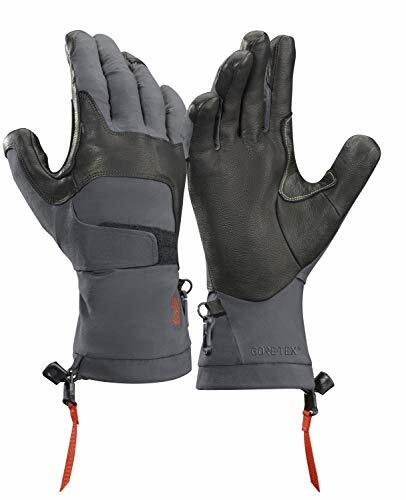 It may be a pricey option, but in return for your additional outlay of $ you get a glove that’s built to last and sure to let you venture onto the ice without fear of regretting the decision to do so a short way up your climb!